In March of 2016 Sunny Shah, Assistant Director and Faculty of the ESTEEM Graduate Program at the University of Notre Dame, was interviewed by Steve Blank about his journey to entrepreneurship. Like most students in ESTEEM, I have spent a lot of time discussing my thesis project, coursework, and my job search with Sunny. However, these topics were the extent of those quick meetings. Through listening to the interview I found out more about his background and how he got involved with ESTEEM. This journey started in India’s largest city, Mumbai, where Sunny spent the first eighteen years of his life. His father was an engineer and his brother was a physician. Sunny, seemingly not wanting to disappoint either, went on to study biomedical engineering at UC Davis. There he would go on to receive his PhD in biomedical engineering. For his doctoral work, he focused on liver tissue engineering and stem cell differentiation. 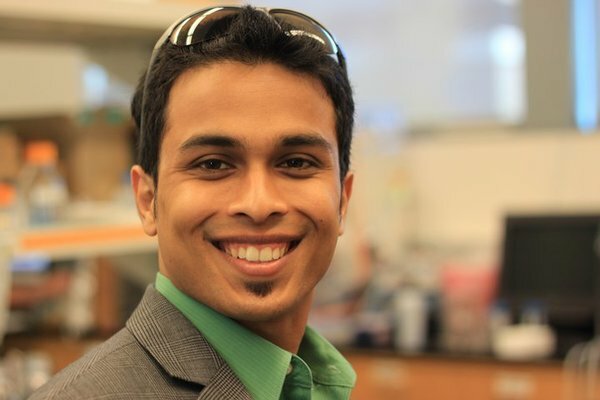 Sunny became a senior scientist at Notre Dame in 2011 developing diagnostic tools that could find use in the medical, food and environmental fields. His lab created a low cost, robust diagnostic tool for detecting pathogens through specific DNA and RNA signatures. This led to a “pivot” in the way that Sunny thought about product creation, where listening to people and trying to find their pain points can stimulate innovation – a process that ESTEEM has wholeheartedly adopted. Sunny preaches this message as someone who has gone through the process and understands some of the difficulties associated with it. He says that this process is not dissimilar to the scientific method, where you have a hypothesis, test it, accept or reject the original hypothesis, make some edits and then share your results. Instead of hypothesis driven scientific research this is hypothesis driven market research. Originally published by Karl de Zoeten at esteem.nd.edu on November 02, 2016.